I like C. Ramchandra. His name isn't one that gets dropped very often in my (admittedly largely 70s-centric) circles but having scored more than 100 movies he can hardly be described as an unknown. 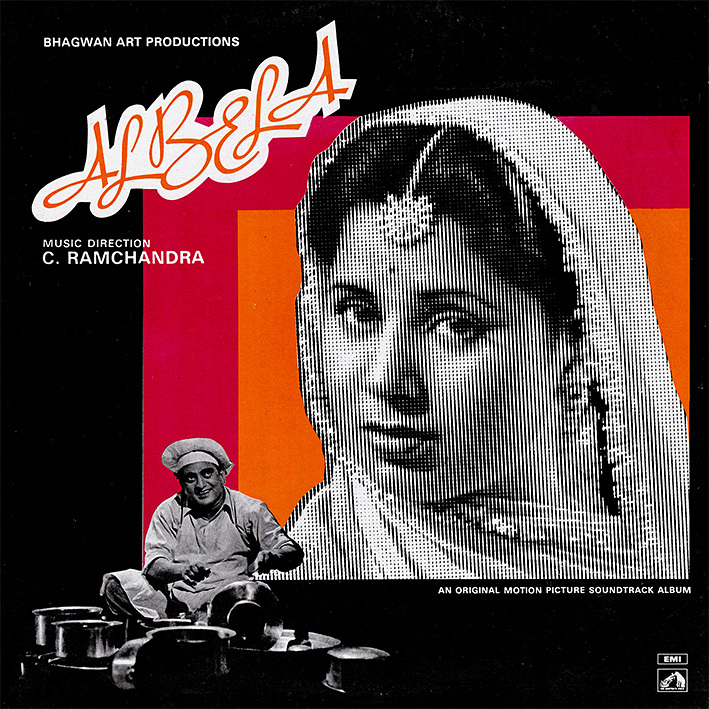 The previous soundtracks by him posted here have both been very good (one even included in the 100 Bollywood Soundtracks book) and the same can be said for 1951's 'Albela'. It's all cheerful and sweet and sort of innocent sounding, full of tuneful songs, mostly performed by Lata Mangeshkar and Chitalkar, the latter being the composer in his playback singer guise. I could name any number of highlights; the dainty 'Dil Dhadke Nazar Sharmae', the carnivalesque 'Diwana Parwana', the children's song 'Dhire Se Aaja Ri Akhiyan Men' (Lata's version of which has actually been featured before), the addictive 'Bholi Soorat Dil Ke Khote'... your best bet though is to simply play the soundtrack from the beginning, close your eyes, relax, and let its wonderful old-world music envelop you. Thanks PC for another classic all time hits album. i luv most one of track in the album "Shola Jo Bhadke" & "Bholi Soorat Dil Ke Khote"
thanks again so so so much. really appreciate all of these great posts.